field has miraculously got itself standing back upright again. 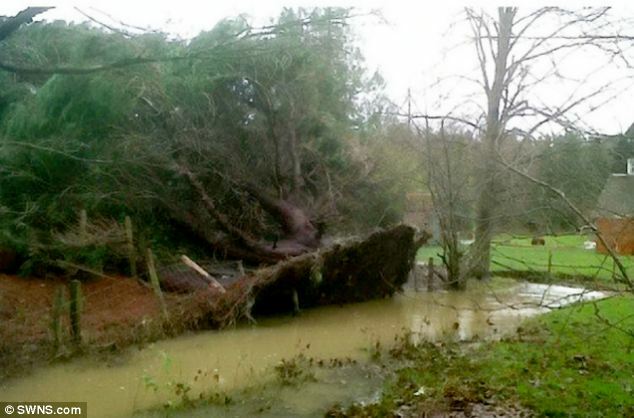 The 40ft tree has left residents in Chiddingstone, near Sevenoaks, Kent, baffled after it somehow returned to its normal upright position after being blown over on December 23 last year. Donna Bruxner-Randall, who owns Moorden Farmhouse and the surrounding fields where the tree fell, found it uprooted following high winds just before Christmas.